These look so good! I love the Pastry Queen and have always thought this recipe sounded delicious. I love savory scones! Bacon, cheddar and green onions are the perfect combo! I really like hte sound of these savoury scones! 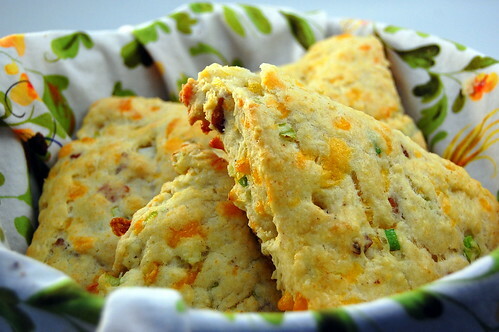 I am not a huge fan of scones, but I bet this savory version is delcious! Can I use a hand mixer to do the butter or a food processor? I would love to make these tomorrow and I do not have a stand mixer. Can you use regular milk if you do not have buttermilk?